← Sponsored: Tell your friends! US$100 Genuineblox credit PLUS HK$500 Giftwell gift card up for grabs! THIS COMPETITION IS NOW CLOSED! CONGRATULATIONS TO LUCKY WINNER NICOLE, AND THANKS TO EVERYONE WHO ENTERED! So who doesn’t love a freebie? And this one is a good ‘un – the lovely folks over at ABA Productions have four tickets to give away for the opening night performance of Dr Bunhead’s Blast-Off at the Drama Theatre, Hong Kong Academy for Performing Arts in Wan Chai. 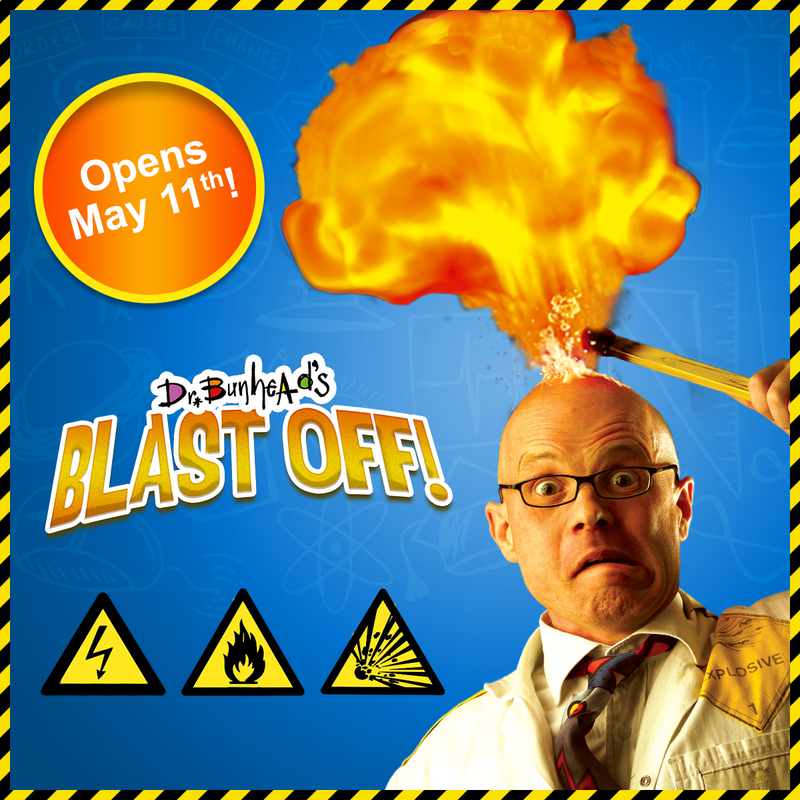 Dr Bunhead’s Blast-Off is a science-lover’s dream come true; we’re talking exploding brains, bananas, hamsters and plenty more eccentric experiments that are both educational and hilarious, all at the same time. This madcap show is suitable for kids ages five and over – expect cheeky humour and pyrotechnics… with a side order of fart gags (everyone secretly loves a good fart gag, don’t they?). To win four tickets to the 5pm performance on Thursday May 11th 2017, head over to both the ABA Productions and my Accidental Tai-Tai Facebook pages, give both a like, then leave your name and email address below, along with a comment telling me why you (or your kiddo) believe that science is cool. Too easy! I’ll draw one lucky winner on Monday 8th May 2017 and email you with details of where to collect your prize on the day. If you’re not the lucky winner, you can pick up tickets with 10% off by visiting hkticketing.com or by calling 3128 8288 and quoting “ABA17”. Thanks to the friendly ABA Productions team who are sponsoring this giveaway!